Although bacteria have been mainly recognized as disease causing agents since the discovery of their identity, there are abundant scientific evidences that bacterial pathogenicity is not the major biological function of bacteria. Microbiologists have traditionally focused on disease studies rather than on the diverse beneficial functions of bacteria. Recently, cancer/micro-biologists serendipitously discovered an important beneficial function of bacteria as anti-cancer agents. This is consistent with the idea that bacteria were originally created to perform beneficial functions. In order to maximize the medical benefits of bacterial oncolysis, genetic attenuation of bacteria (reduction of pathogenicity) can be used to help reduce the pathogenecity of bacteria while not diminishing oncolytic activity. The oncolytic role of bacteria within the creation model will be examined in this paper. Bacteria were first observed by the Dutch scientist Anton van Leeuwenhoek in 1674, using a single-lens microscope of his own design. He called them “animalcules” and published his observations in a long series of letters to the Royal Society. The name bacterium was introduced much later, by Christian Gottfried Ehrenberg in 1828, and is derived from the Greek word, bacterion, meaning “small staff”. Louis Pasteur demonstrated in 1859 that the fermentation process is caused by the growth of microorganisms, and that this growth is not due to spontaneous generation. Pasteur not only rebutted the idea of the spontaneous generation of life but also showed that bacterial virulence (of Bacillus anthracis) is not a permanent characteristic but rather an unstable property that could be lost during a culture stage (Bordenave 2003; Gillen and Sherwin 2008). Bacteria have been mainly recognized as disease causing agents. Indeed, bacteria-mediated human diseases such as tetanus, typhoid fever, diphtheria, syphilis, cholera, food-borne illness, leprosy, and tuberculosis have devastated human populations throughout history. Moreover, a pathogenic strain of Bacillus anthracis bacteria, which is the causative agent for anthrax, was used as a biological weapon in the 2001 anthrax attacks in the United States. Medical consequences of the pathogenesis of bacteria have greatly affected our history and resulted in extraordinary efforts on the part of microbiologists and molecular biologists to study, understand, and eradicate these dreadful agents. Accordingly, many of the important findings of modern microbiology and molecular biology have been derived from extensive studies of pathogenic bacteria and their interaction with the host. 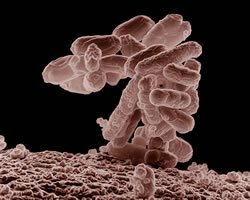 Apparently because of the medical focus and influence of evolutionary ideas, bacteria are mainly recognized as selfishly replicating disease-causing organisms. However, many studies clearly show that human associated bacteria mostly function as normal microflora to maintain host physiology (Stanier et al. 1979). Since normal microflora is an important part of host physiological systems, it is not surprising that bacterial ubiquitousness, for instance in the human gastrointestinal tract, was part of God’s original design for humans. In addition, bacteria play other important roles in nature including nutrient recycling in the biosphere (Bergman 1999; Francis 2003; Gruenke, Francis, and Wood 2004; Lucas and Wood 2006). In contrast to the simplistic and pathogenic view of bacteria, modern cancer biologists/microbiologists serendipitously discovered that many bacteria actually exert a beneficial function. They play an important role in eliminating cancerous cells in hosts such as animals and humans. It has been known for over a century that severe bacterial infections in cancer patients occasionally result in the eradication of malignancy (Ryan, Green, and Lewis 2006). Many non-pathogenic or attenuated bacteria have been shown to specifically target cancer cells while sparing normal counterparts (Bettegowda et al. 2006; Pawelek, Low, and Bermudes 2003), which ultimately led to the use of bacteria in clinical trials as potent anti-cancer agents (Rosenberg, Spiess, and Kleiner 2002; Toso et al. 2002). Anaerobic bacteria are particularly intriguing agents for this purpose, because they can target cancerous tissue which tends to be anaerobic. (Theys et al. 2003). Indeed, a majority of solid human tumors contain large hypoxic regions because blood vessel growth does not keep pace with tumor cell hyper-growth. This makes tumors relatively insensitive to radiation or chemotherapy (as hypoxic regions are not easily accessible by conventional drugs or irradiation) but provides an ideal environment for the growth of anaerobic bacteria (Cerar, Zidar, and Vodopivec 2004; Jain and Forbes 2001). Many attempts to use anaerobic bacteria for tumor therapeutics employ Clostridium sporogenes, a nonpathogenic species often used as a control for sterilization in the food industry. In addition to Clostridium, Bifidobacterium (obligatory anaerobe), Salmonella (facultative anaerobe) and Corynebacterium (obligatory anaerobe) have been used for anti-cancer studies with varying stages of success in animal models and some strains have been used safely in human clinical trials (Jain and Forbes 2001; Wei et al. 2007). Many pharmaceutical agents have been discovered by screening natural products from a wide range of microorganisms. For example, dactinomycin, bleomycin and doxorubicin are anticancer agents (specifically targeting tumors) derived from microbial sources (da Rocha, Lopes, and Schwartsmann 2001). Rapamycin, wortmannin and geldanamycin (also natural products of bacteria and fungi) have been found to have antiproliferative actions in tumors (oncolytic activity is mainly due to their cytostatic effect on tumors) and may therefore find clinical use as novel agents for anti-cancer therapy (Alberts et al. 1993; Stanford et al. 2007; Wu et al. 2007). Rapamycin and its analogs are products of Streptomyces hygroscopicus and have been used as immunosuppressants in humans. They also have a role in blocking progression of the cell cycle at middle-to-late G1 phase in T and B cells, and in cancer cell lines such as osteosarcoma and rhabdomyosarcoma (Alberts et al. 1993). Rapamycin is a FDA-approved drug and a candidate drug to target cancers in an adjuvant setting. Wortmannin is a product of the fungus Talaromyces wortmanni and inhibits signal transduction pathways by forming a covalent complex with an active-site residue of phosphoinositide 3 kinase (PI3K), inhibiting PI3K activity (hyper-activation of cellular PI3K pathway is commonly found in cancer cells) (Cadenas et al. 1998). Thus, microbial products can have a variety of physiological effects in animals and humans. In several cases, the targets of these compounds are components of signal transduction cascades that are conserved in many species but hyper-activated in cancer cells and that have been considered novel targets for anti-cancer drug discovery (Adjei 2000). Although microbially-derived drugs are commonly used for human cancer therapy, cancer cells in patients frequently acquire resistance to these anti-cancer drugs. Use of live microbes (or in combination with microbial drugs) may overcome this limitation since live microbes show powerful oncolytic potential due to multimodal oncolytic activities (targeting multiple cancer specific signaling) compared to drug alone treatment. Enhanced oncolytic potential of live microbes has been proven in various animal studies and human clinical trials are on-going as described later. Fig. 1. Infection of primary tumor and normal explant tissues with B18R- and TK-deleted virus expressing GFP (green fluorescent protein). Three tissue samples (top: rectal tumor with normal rectal tissue; middle: colon tumor metastases in liver; and bottom: endometrial tumor [no normal tissue available]) are represented. Tumor and normal tissue were mixed with virus, washed, and images taken 48 hours later. This figure is taken from Kirn et al. 2007. Oncolytic bacteria not only directly lyse tumors but also indirectly stimulate host immune elements to target cancers. For instance, Clostridium novyi (NT strain) spores localize in hypoxic anoxic areas of tumors, where they germinate and cause lysis of tumor cells. The resulting inflammation, as well as the oxygen present in adjacent areas, may also directly contribute to tumor destruction through the release of reactive oxygen species, proteases, pore-forming agents, and tumoricidal cytokines. In addition, the inflammatory response stimulates a specific cellular antitumor immune response that constrains subsequent tumor growth (Agrawal et al. 2004). Mycobacterium bovis bacillus Calmette-Guérin (BCG) also performs a powerful anti-cancer activity via host immune activation. BCG has been used as an adjuvant to booster host immunity (and to enhance antibody production in animals). This may partially explain why BCG can be a good anticancer microbe to specifically target tumors by enhancing anti-cancer immunity. Extensive studies suggest that this bacterium stimulates the host immune system to produce powerful cytokine mediators and effector cells [natural killer (NK) cells] that act locally to destroy bladder tumors (Brandau et al. 2001). M. bovis BCG enhances the natural anti-tumor activity of NK cells to target bladder tumors. The use of live M. bovis BCG therapy is probably the most effective immunotherapy to date, and various immunostimulatory effects of BCG in vitro and in vivo have been described (Alexandroff et al. 1999; O’Donnell and Dewolf 1995). 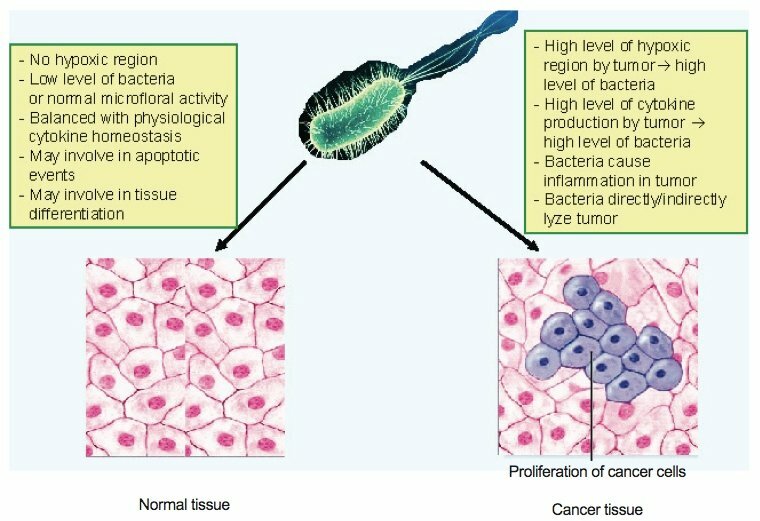 In order for optimal bacterial oncolysis, bacterial attenuation (reduction of pathogenicity) or non-pathogenicity of bacteria is obviously one of the important elements for bacterial anti-cancer therapy. Bacterial attenuation is often induced by targeted mutation or deletion of the bacterial virulence genes (Clairmont et al. 2000; Low et al. 1999). For instance, a genetically modified strain of Salmonella typhimurium possesses an excellent safety profile, including genetically stable attenuated virulence (a deletion in the purI gene), reduction of septic shock potential (a deletion in the msbB gene), and antibiotic susceptibility. The attenuated strain is genetically stable after multiple generations in vitro and in vivo and accumulates preferentially in tumors (Clairmont et al. 2000). Low et al. (1999) also reported that Salmonella were genetically modified to alter their bacterial lipid component and this increased the safety profile of the bacteria while retaining useful properties of these bacteria. Bacterial lipids are often involved in promoting inflammation and pathogenesis. The msbB gene of Escherichia coli and Salmonella is believed to be involved in the terminal myristoylation of lipid A. Disruption of the msbB gene in E. coli and Salmonella resulted in stable mutants that lower tumor necrosis factor (TNF) alpha induction while retaining tumor-targeting and tumor-inhibition properties. Although the mechanism of attenuation is not clearly known, disruption of the Salmonella msbB gene (a potential bacterial virulence factor) increased the LD50 (Lethal Dose, 50%; the amount of a toxic substance or radiation to kill half the members of a tested population within a certain time) of this pathogenic bacteria by 10,000-fold. Notwithstanding this enormous difference, Salmonella retains its tumor-targeting properties, exhibiting tumor accumulation ratios in excess of 1000:1 cfu/g tissue compared with normal tissues. Administration of these bacteria to mice bearing melanoma resulted in tumors that are less than 6% the size of tumors in untreated controls (Low et al. 1999). Dang et al. (2001) used heat shock to eliminate the lethal toxin genes from Clostridium novyi, located within a phage episome (Dang et al. 2001). It would be interesting to study bacterial virulence genes and their link to attenuation and oncolysis once genome sequences of various strains of bacteria become available (McClelland et al. 2001; Parkhill et al. 2001). Of course, the use of naturally nonpathogenic bacteria (for example, Clostridium oncolyticum) might avoid the toxicity problem altogether. Collectively, various attenuated or non-pathogenic bacteria or microbial products do not (or minimally) harm normal cells or tissues in the host while performing a potent anti-cancer activity. There are abundant documented descriptions of bacterial or viral infections that lead to tumor oncolysis. For instance, regression of leukemias or lymphomas has occasionally been observed after natural infections with various human viruses. One of the most noteworthy reports is of the remission without antineoplastic therapy of a Burkitt lymphoma of the right orbit in an 8-year-old boy who became naturally infected with the measles virus. Within one month, the tumor and measles infection had resolved completely (Bluming and Ziegler 1971). Furthermore, there have been reports of the beneficial effects of measles virus on the course of acute lymphoblastic leukemia, (Pasquinucci 1971) and it has been implicated in numerous cases of regression of Hodgkin’s lymphoma (Taqi et al. 1981). Interestingly, vaccine strains of measles virus or vaccinia virus are currently being used in human clinical trials for cancer therapy targeting traditionally intractable human cancers (Blechacz and Russell 2008; Myers et al. 2008). As shown in Fig. 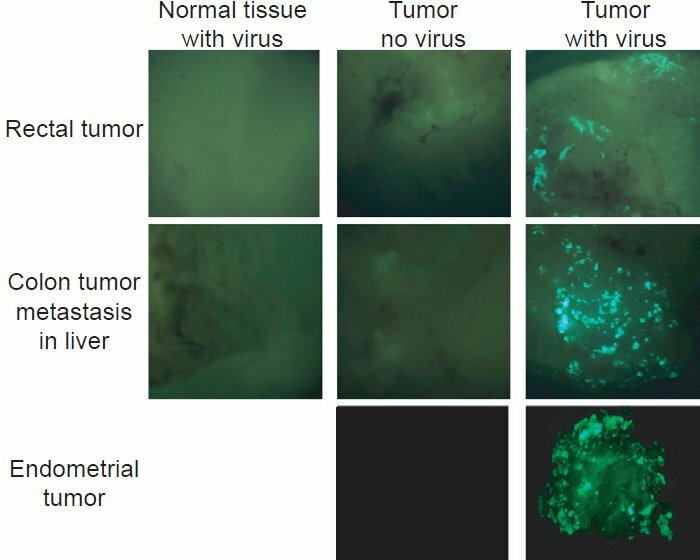 1, GRP (green ﬂuorescent protein) labeled vaccinia virus speciﬁcally infects human tumor tissue (thus tumors become green fluorescent due to viral replication) but not normal human tissues demonstrating that oncolytic virus is very effective in discriminating tumor tissues among normal tissues (Kirn et al. 2007). The fact that an acute bacterial infection can induce a regression in a concurrent malignant tumor has been known for hundreds of years. However, it was implemented in 1868—when Busch intentionally infected a patient with a soft tissue sarcoma of the neck with erysipelas (infection causing inflammation of the dermis). Since the causative agent of erysipelas was not known at that time, the patient was placed in a hospital bed notoriously known for the frequency with which patients in it became infected with erysipelas. After being infected with erysipelas (caused by Streptococcus pyogenes), rapid tumor shrinkage was observed in this patient (Busch 1868). This response was only partial and tumor recurrence subsequently occurred (Busch 1868). Only 15 years later, in 1883, was Streptococcus pyogenes identified as the causative agent of erysipelas. Almost 30 years later, William B. Coley, a young surgeon at New York Hospital, encountered a patient with cancer who seemed to be cured by a severe erysipelas infection (Coley 1891). This observation led Coley to begin deliberately infecting patients with live Streptococcus pyogenes. Similar studies had already started in Europe, where, in 1883, Friedrich Fehleisen, a German surgeon, had successfully identified Streptococcus pyogenes as the cause of erysipelas and had begun treating cancer patients with the living cultures of the bacteria (Fehleisen 1883). Both Coley and Fehleisen reported success in inducing tumor regression, and Coley was so convinced by his results that he devoted much of his life’s work to exploring the use of bacteria in cancer treatment, although he soon abandoned the use of live bacteria in favor of isolated preparations of bacterial toxins. A record of his work was carefully assembled by his daughter, Helen Coley Nauts, and included a collection of 200 years of summarized case reports describing neoplasms that regressed after acute infection (Nauts, Fowler, and Bogatko 1953; Nauts, Swift, and Coley 1946). In view of the biblical creation model, how can we understand this paradoxical nature (tumor oncolysis and pathogenicity) of bacterial infections in humans? It would be very difficult to fit this into an evolutionary perspective, wherein bacteria are mainly considered organisms with the sole goal of reproduction in order to assure their own survival. In fact, there are few attempts to explain the innate and highly selective oncolytic nature (only targeting cancer tissues while sparing normal tissues) of bacteria in an evolutionary perspective. This may be due to the evolutionary assumption that bacteria would have more survival advantages if they could propagate in a non-selective manner. For creation scientists, however, this can be readily understood within the creation model ( Colossians 1:16 ). Prior to Adam’s sin, all bacteria would have been non-pathogenic and likely had supportive/beneficial biological functions by which the integrity of all living created kinds were maintained. However, after the Fall, bacteria would have been subject to degenerative genetic changes due to the effects of the curse. As a result of the Fall, the Bible tells us that “Thorns also and thistles shall it bring forth to thee” ( Genesis 3:18a ) implying drastic alterations of God’s creation including microbial pathogenicity. Bacterial oncolytic activity may have arisen as a biological extension (a preferential bacterial tropism on tumors leading to tumor lysis) of a preexisting normal bacterial tropism (part of the God’s original design of bacteria). In a creation view, microbial tropism can be classified in two categories (noncytolyic tropism and cytolytic tropism). Firstly, in noncytolytic microbial tropism, microbes may persist in the host at low levels. It is known that microbes can persist in a host without causing pathogenesis. This is commonly known as a microbial natural reservoir. Thus it is likely that non-cytolytic or a low level of cytolytic microbial persistence may play a significant role in maintaining host physiological events such as tissue differentiation and host immunity. Secondly, in the case of highly cytolytic microbial tropism, microbes may temporally persist in the host at high levels, which may cause a disruption of physiological balance or sometimes induce tumor lysis depending on host physiological context. Fig. 2. Schematic of attenuated bacterial role in host (normal versus cancer tissue). Although bacteria have been mainly recognized as disease causing agents since their discovery, there is abundant scientific evidence that bacterial pathogenicity is not their major biological function (fig. 2). Microbiologists have been using most of their resources focusing on disease studies rather than the many potential beneficial functions of bacteria. Recently, biologists discovered many beneficial functions of bacteria including normal microflora activity (Stanier et al. 1979), nutrient recycling in the biosphere (Francis 2003), and anti-cancer activity (Rosenberg, Spiess, and Kleiner 2002; Toso et al. 2002). 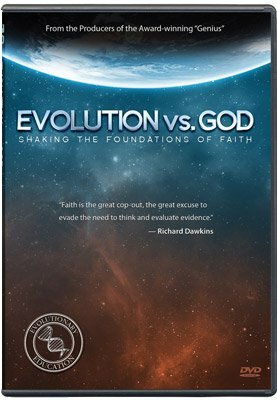 It is likely that more beneficial functions of bacteria can be identified if biologists use their resources starting with the biblical context of Creation and the Fall. Accumulation of degenerative genetic changes after the Fall in bacteria may affect their original biological functions and generate defective bacteria, which can also become pathogenic. However, some bacteria may still exert some of their supportive or derivative roles, such as microbial oncolysis when their pathogenicity is genetically attenuated. In the pre-Fall world, tumorigenesis would not have existed since Creation was perfect. Therefore, bacterial oncolysis was not required in the pre-Fall world. Thus, it is likely that, in the pre-Fall biological world, bacterial tropism on normal tissues was an essential part of the normal physiological relationship between bacteria and various host tissues (possibly playing a role in differentiation, apoptosis, signal transduction, etc). However, after the Fall, bacterial tropism became altered such that bacteria likely began to selectively propagate in tumors and kill them due to abnormal tumor environments (Kim 2007) (in addition to the emergence of microbial pathogenicity). This could be an example of the Creator’s incredible methodology to reduce the adverse impact of the fallen biological world. Taken together, bacteria were originally created to propagate non-pathogenically and to assist host physiology. After the Fall, bacteria became subject to limited genetic change, which sometimes led to an emergence of microbial pathogenicity throughout human history. However, the original beneficial functions of bacteria including microbial oncolysis are ubiquitous even in the fallen biological world. Adjei, A. A. 2000. Signal transduction pathway targets for anticancer drug discovery. Current Pharmaceutical Design 6:361–378. Agrawal, N., C. Bettegowda, I. Cheong, J. F. Geschwind, C. G. Drake, E. L. Hipkiss, M. Tatsumi, L. H. Dang, L. A. Diaz Jr., M. Pomper, M. Abusedera, R. L. Wahl, K. W. Kinzler, S. Zhou, D. L. Huso, and B. Vogelstein. 2004. Bacteriolytic therapy can generate a potent immune response against experimental tumors. Proceeding of the National Academy of Sciences USA 101:15172–15177. Alberts, M. W., R. T. Williams, E. J. Brown, A. Tanaka, F. L. Hall, and S. L. Schreiber. 1993. FKBP-Rapamycin inhibits a cyclin-dependent kinase activity and a cyclin D1-Cdk association in early Gl of an osteosarcoma cell line. The Journal of Biological Chemistry 268:22825–22829. Alexandroff, A., A. M. Jackson, M. O’Donnell, and K. James. 1999. BCG immunotherapy of bladder cancer: 20 years on. Lancet 353:1689–1694. Bergman, J. 1999. Did God make pathogenic viruses? Journal of Creation 13(1):115–125. Bettegowda, C., X. Huang, J. Lin, I. Cheong, M. Kohli, S. A. Szabo, X. Zhang, L. A. Diaz Jr., V. E. Velculescu, G. Parmigiani, K. W. Kinzler, B. Vogelstein, and S. Zhou. 2006. The genome and transcriptomes of the anti-tumor agent Clostridium novyi-NT. Nature Biotechnology 24:1573–1580. Blechacz, B., and S. J. Russell. 2008. Measles virus as an oncolytic vector platform. Current Gene Therapy 8: 162–175. Bluming, A. Z., and J. L. Ziegler. 1971. Regression of Burkitt’s lymphoma in association with measles infection. Lancet 2:105–106. Bordenave, G. 2003. Louis Pasteur (1822–1895). Microbes and Infection/Institute Pasteur 5:553–560. Brandau, S., J. Riemensberger, M. Jacobsen, D. Kemp, W. Zhao, X. Zhao, D. Jocham, T. L. Ratliff, and A. Bohle A. 2001. NK cells are essential for effective BCG immunotherapy. International Journal of Cancer 92:697–702. Busch, W. 1868. Verhandlungen artzlicher gesellschaften. Berl Klin Wochenschr 5:137–138. Cadenas, M. E., A. Sandfrison, N. S. Cutler, and J. Heitman. 1998. Signal transduction cascades as targets for therapeutic intervention by natural products. Trends in Biotechnology 16:427–433. Cerar, A., N. Zidar, and B. Vodopivec. 2004. Colorectal carcinoma in endoscopic biopsies; additional histologic criteria for the diagnosis. Pathology, Research and Practice 200:657–662. Clairmont, C., K. C. Lee, J. Pike, M. Ittensohn, K. B. Low, J. Pawelek, D. Bermudes, S. M. Brecher, D. Margitich, J. Turnier, et al. 2000. Biodistribution and genetic stability of the novel antitumor agent VNP20009, a genetically modified strain of Salmonella typhimurium. The Journal of Infectious Diseases 181:1996–2002. Coley, W. B. 1891. Contribution to the knowledge of sarcoma. Annals of Surgery 14:199–220. da Rocha, A. B., R. M. Lopes, and G. Schwartsmann. 2001. Natural products in anticancer therapy. Current Opinion in Pharmacology 1:364–369. Fehleisen, F. 1883. Die etiologie des erysipels. Berlin: Theodor Fischer 48. Francis, J. W. 2003. The organosubstrate of life: A creationist perspective of microbes and viruses. In Proceedings of the Fifth International Conference on Creationism, ed. R. L. Ivey, pp. 434–444. Pittsburgh, Pennsylvania: Creation Science Fellowship. Gillen, A. L., and F. J. Sherwin, III. 2008. Louis Pasteur’s Views on Creation, Evolution, and the Genesis of Germs. Answers Research Journal 1:43–52. Gruenke, J., J. W. Francis, and T. C. Wood. 2004. A proposal for a creationist survey of viruses. Occasional Papers of the BSG No. 4, R5, p. 14. Jain, R. K., and N. S. Forbes. 2001. Can engineered bacteria help control cancer? Proceedings of the National Academy of Sciences USA 98:14748–14750. Kim L. 2007. Accumulation of mutations: Cancer or molecule- to-man evolution? 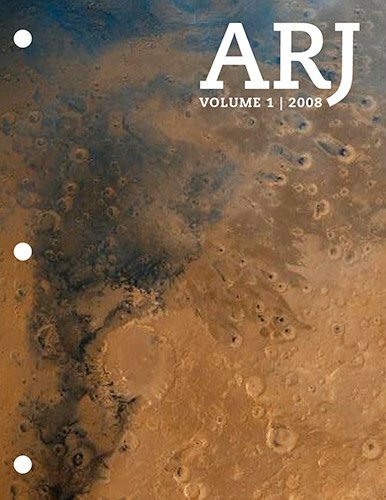 Journal of Creation 21(2):77–81. Kirn, D. H., Y. Wang, F. Le Boeuf, J. Bell, and S. H. Thorne. 2007. Targeting of interferon-beta to produce a specific, multi-mechanistic oncolytic vaccinia virus. PLoS Medicine 4(2):e353 doi:10.1371/journal.pmed.0040353. Low K. B., M. Ittensohn, T. Le, J. Platt, S. Sodi, M. Amoss, O. Ash, E. Carmichael, A. Chakraborty, J. Fischer, S. L. Lin, X. Luo, S. I. Miller, L. Zheng, I. King, J. M. Pawele, and D. Bermudes. 1999. Lipid A mutant Salmonella with suppressed virulence and TNF alpha induction retain tumor-targeting in vivo. Nature Biotechnology 17:37–41. Lucas, J. R., and T. C. Wood. 2006. The origin of viral disease: A foray into creationist virology. Occasional Papers of the BSG No. 8, R6, p. 13. McClelland, M., K. E. Sanderson, J. Spieth, S. W. Clifton, P. Latreille, L. Courtney, S. Porwollik, J. Ali, M. Dante, and F. Du. 2001. Complete genome sequence of Salmonella enterica serovar Typhimurium LT2. Nature 413:852–856. Myers, R., M. Harvey, T. J. Kaufmann, S. M. Greiner, J. W. Krempski, C. Raffel, S. E. Shelton, D. Soeffker, P. Zollman, M. J. Federspiel, M. Blanco, and E. Galanis. 2008. Toxicology study of repeat intracerebral administration of a measles virus derivative producing carcinoembryonic antigen in rhesus macaques in support of a phase I/II clinical trial for patients with recurrent gliomas. Human Gene Therapy 19:690–698. Nauts H. C., G. A. A. Fowler, and F. H. Bogatko. 1953. A review of the influence of bacterial infection and of bacterial products (Coley’s toxins) on malignant tumors in man. Acta Medica Scandinavica 145 (suppl. 276:1–105). Nauts, H. C., W. E. Swift, and B. L. Coley. 1946. The treatment of malignant tumors by bacterial toxins as developed by the late William B. Coley, MD, reviewed in the light of modern research. Cancer Research 6: 205–216. O’Donnell, M. A., and W. C. Dewolf. 1995. Bacillus Calmette-Guérin immunotherapy for superficial bladder cancer. New prospects for an old warhorse. Advances in Urologic Oncology 4:189 –202. Parkhill, J., G. Dougan, K. D. James, N. R. Thomson, D. Pickard, J. Wain, C. Churcher, K. L. Mungall, S. D. Bentley, M. T. Holden, et al. 2001. Complete genome sequence of a multiple drug resistant Salmonella enterica serovar Typhi CT18. Nature 413:848–852. Pasquinucci, G. 1971. Possible effect of measles on leukaemia. Lancet 1:136. Pawelek, J. M., K. B. Low, and D. Bermudes. 2003. Bacteria as tumour-targeting vectors. Lancet Oncology 4:548–556. Rosenberg S. A., P. M. Spiess, and D. E. Kleiner. 2002. Antitumour effects in mice of the intravenous injection of attenuated Salmonella typhimurium. Journal of Immunotherapy 25:218–225. Ryan, R. M., J. Green, and C. E. Lewis. 2006. Use of bacteria in anti-cancer therapies. Bioessays 28, 84–94. Stanford, M. M., J. W. Barrett, S. H. Nazarian, S. Werden, and G. McFadden. 2007. Oncolytic virotherapy synergism with signaling inhibitors: Rapamycin increases myxoma virus tropism for human tumor cells. Journal of Virology 81:1251–1260. Stanier, R. Y., E. A. Adelberg, J. L. Ingraham, and M. L. Wheelis. 1979. Introduction to the microbial world, pp. 385–387. Englewood Cliffs, New Jersey: Prentice-Hall. Taqi, A. M., M. B. Abdurrahman, A. M. Yakubu, and A. F. Fleming. 1981. Regression of Hodgkin’s disease after measles. Lancet 1(8229):1112. Theys, J., S. Barbé, W. Landuyt. S. Nuyts, L. Van Mellaert, B. Wouters, J. Anné, and P. Lambin. 2003. Tumor-specific gene delivery using genetically engineered bacteria. Current Gene Therapy 3:207–221. Toso, J. F., V. J. Gill, P. Hwu, F. M. Marincola, N. P. Restifo, D. J. Schwartzentruber, R. M. Sherry, S. L. Topalian, J. C. Yang, F. Stock, L. J. Freezer, K. E. Morton, C. Seipp, L. Haworth, S. Mavroukakis, D. White, S. MacDonald, J. Mao, M. Sznol, and S. A. Rosenberg. 2002. Phase I study of the intravenous administration of attenuated Salmonella typhimurium to patients with metastatic melanoma. Journal of Clinical Oncology 20:142–145. Wei, M. Q., K. A. Ellem, P. Dunn, W. J. West, C. X. Bai, and B. Vogelstein. 2007. Facultative or obligate anaerobic bacteria have the potential for multimodality therapy of solid tumours. European Journal of Cancer 43:490–496. Wu, Q., K. Kiguchi, T. Kawamoto, T. Ajiki, J. Traag, S. Carbajal, L. Ruffino, H. Thames, I. Wistuba, M. Thomas, K. M. Vasquez, and J. DiGiovanni. 2007. Therapeutic effect of rapamycin on gallbladder cancer in a transgenic mouse model. Cancer Research 67:3794–3800.